Fitbit hasn’t even made their official announcement launching their upcoming wearable, but Brookstone went ahead and started offering pre-orders for the much-anticipated Surge watch… though the page is now unavailable. Often regarded as the king of the fitness-related wearables market, Fitbit’s updated entry in this category could be a meaningful contender. During the time Brookstone had their page active, we were able to get a glimpse into what this device is going to look like –inside, and out. While the main question answered indicates this is indeed a fitness device and not a true smartwatch, a touchscreen display (that tilts up slightly toward you, making it very easy to see) and additional functionality helps it to actually fall somewhere in the middle. A lot of technology is now built-in, like the 8-sensors (for steps taken, distance traveled, calories burned, floors climbed, and active minutes) along with with a GPS to make those details more accurate without the need for a smartphone nearby. Athletes will love the automatic, continuous heart rate monitor and the ability to record workouts as they happen. Geeks will appreciate that a few smartwatch features are included, allowing for call and text notifications while also being able to control your music. Most importantly (and even better than being water resistant and lasting a full 7-days on a single charge), the device syncs wirelessly and is compatible with iOS, Android, Windows and Mac OS (plus with Aria Wi-Fi scale). 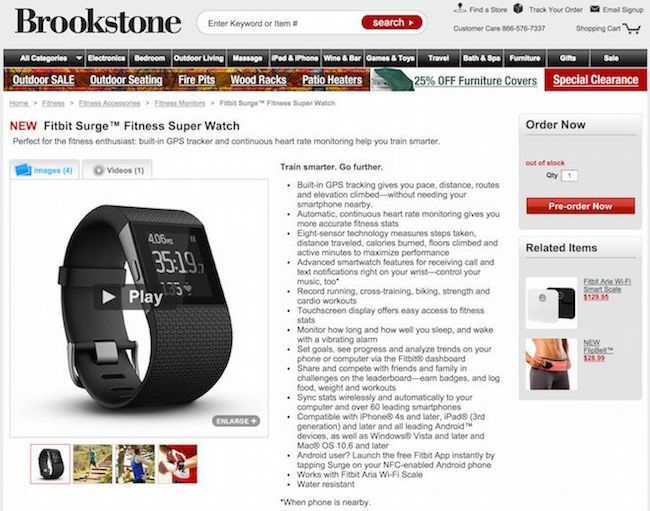 With an anticipated price-tag of $249 USD, it’s on the expensive side of fitness trackers. It may be seen as worthwhile for those interested in a little more functionality than existing pedometer type trackers can offer, without making the more sizeable jump into a full Android wearable or the upcoming Apple Watch.